Get a head start preparing for gift giving. 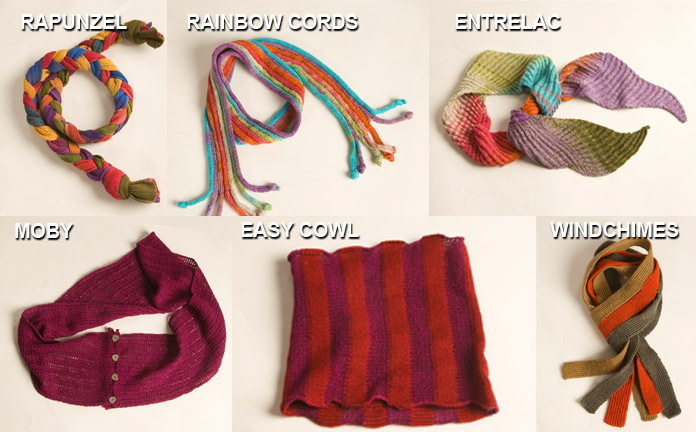 Here are several unique neck adornments that can be knit with any gauge machine and any yarn. Caution: you might not be able to give them away!